Trastevere is the area west of the Tibur River and south of Vatican City. The more I read about this area, the more I think about growing up in the Sunset District of San Francisco, and not really living up the more well traveled areas of San Francisco. Like my childhood neighborhood, Trastevere is the more intimate part of Rome where residents pride themselves with never crossing the Tibur river to see the touristy side of Rome. When: This walk can be made at anytime of day. Dusk can be very atmospheric. This walk can also be the prelude to the Night Walk Across Rome. What to see: Ponte Cestio – Where Rome first began as a city. It was the smallest point of the Tiber River that a ship could sail through, allowing it to be the connection between the Italian peninsula with the Mediterranean. There is a stone on the bridge with a faded inscription of “Caeser” dating AD 370. What to see: Isola Tiberina – The island held the temple to Aesclepius, the god of medicine. Now, the island’s largest structure is Fatebenefratelli, a public hospital favored by Roman women for childbirth. 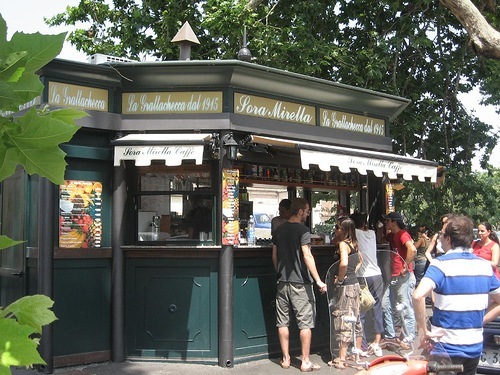 What to eat: Sora Mirella – The most famous vendor of Rome’s summer refresher called a grattachecca, shaved ice with fruit-flavored syrup and chopped fruit. What to see: The square is famous for the oldest working church bell tower dating from 1069. 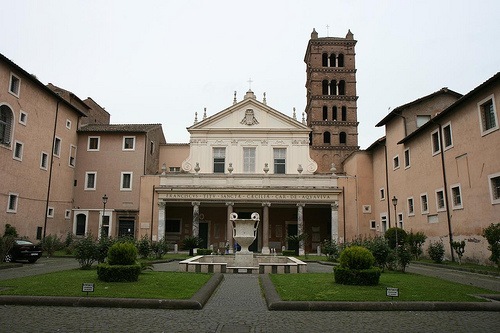 What to see: The Church of St. Cecilia – Saint Cecilia was a converted Christian during a time of of persecution. Her husband devoted himself to Christian burials in the catacombs until he was also killed. When the Romans tried to kill Cecilia, they were unsuccessfully trying to suffocate her with steam for three days to appear as an accident, until they ended up beheading her. Cecilia bequeathed her home to the community, which was eventually converted into this church. Hour: Daily 9:30 to 12:30, 16:00 to 18:30. Crypt Mon-Fri 10:15-12:15; Sat-Sun 11:15-12:15. 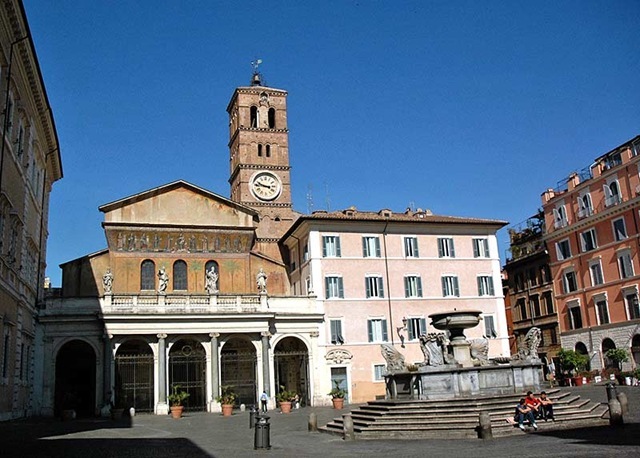 What to see: Church of Santa Maria – The first church dedicated to the Virgin Mary. Free, Daily 7:00-2100. Once this walk is finished, it’s a good start towards the Night Walk Across Rome across the Ponte Sisto bridge into Campo d’ Fiori!